If a parent files a Notice of Intent to Homeschool with the Superintendent of Schools of the school district where the child lives, the child will be considered to be excused from Nevada compulsory attendance requirements. According to SB404, a Notice of Intent to Homeschool must be filed by mail or in person to the office of the Superintendent of Schools prior to the first year the child is enrolled in a home school. The Notice must be filed prior to beginning to homeschool the child or no later than 10 days after the child has been formally withdrawn from public school or no later than 30 days after establishing residency in Nevada. 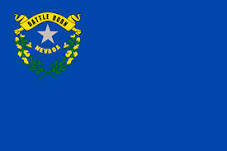 The Nevada Notice of Intent to Homeschool is filed only once at the beginning of the child’s home schooling experience. Unless the name or address of the parent or child changes, there is no need to re-file. However, if the name and/or address of the parent or child does change, a new notice must be filed by the parent within 30 days of the referenced change. 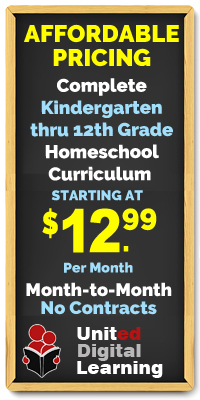 A Notice of Intent to Homeschool must include “an educational plan of instruction for the child in the subject areas of English, including reading, composition and writing and mathematics, science and social studies, including history, geography, economics and government, as appropriate for the age and level of skill of the child as determined by the parent.” The education plan does not have to include specific course content, but only a listing of subjects to be taught. The local school district will provide written acknowledgement to the parent who files a Notice of Intent to Homeschool. The acknowledgement states only that the parent has provided the notification as required by law and that the child is, indeed, being homeschooled. The District’s acknowledgement will be considered to be proof of compliance with Nevada’s compulsory school attendance law. At the formal request by their parent or legal guardian submitted to and authorized by the board of trustees of their local school district, a homeschooled student is eligible to “participate in any classes and extracurricular activities, excluding sports, at a public school within the school district.” A home school student can be considered for participation in such activities if their parent or legal guardian files a “notice of intent of a homeschooled child to participate in programs and activities” each year the child participates in such programs or activities.